So Bloody Elbow has an article up, that I will not comment on their site on... Their comment section might be better than the censorship ridden OG but it is still leftist trash for the most part. The author, who I presume is Moroccan immigrant to America (maybe Syrian)... Seems to be full blown leftist. He has also written for Foreign Policy and The Guardian, about MMA and 'white nationalists'. And then you get the commenters saying "Oh, people that have taken too many shots to the head support Bolsonaro, hahaha". This is classic leftism, where you know what people need, better than the people themselves. The classic "they are going to vote for the wrong guy!" But my biggest beef has got to be that everything is 'far right' these days. Everything is so 'far right' that the term is rendered meaningless. And every nationalist, that is white, is a white nationalist, therefore a genocidal maniac. And if you think that the fascists arose as a response to the threat of Communism, well then you are a Nazi, of course! "Waah waah, he is against gay marriage. Waah waah, he is against affirmative action. Waah... How can afro-Brazilians vote for him? The left owns their vote... Waah. He said there will be a death penalty for violent criminals. Waah he said one time that Ellen Page is pretty. How dare he? The monster." Masculine Men gravitate towards Nationalism. (10-25-2018 09:09 AM)kungfool Wrote: Masculine Men gravitate towards Nationalism. Yep, and I am sure they understand the sense in being able to defend THEMSELVES FROM ARMED CRIMINALS means they need to be armed themselves. Cue the leftists "But how will more guns solve the problem?" Typical of people that are afraid of guns and want the government to protect them. Men who are afraid they'll be out-competed by other Men favor Socialist policies. It's been demonstrated that Testosterone levels are highly correlated to political leanings. The weak men of modern society -- the 'nu-males', the 'bug-men' -- have essentially internalized a Jewish version of masculinity. Do I even need to elaborate? wow @ that comment section. Who would've thought the majority of MMA fans are SJW soyboys? It’s along the same lines as people thinking Trump would. They’re both career criminals who want to line their pockets. seems reasonable. I don't think Trump is rooting out corruption. If he allows ordinary Brazilians to carry guns for self-protection, and allows violent criminals that are convicted, to be put to death, that is better than nothing, right? Of course I want the top dogs to go down too, but you have to recognize they have stacked the deck heavily in their favor, and if you go after them they will just say that you are 'politically biased' against them. Like if Trump arrested Hillary on day one of his Presidency, as he arguably should have done. Now comes the hard part, of actually governing Brazil. I have heard that separatists want to bust off the southern part of Brazil. Since I am in favor of self-determination and sovereignty, that may be a good idea. Very different climates and cultures and economies apparently. One is the Amazon with the legacy of (((sugar plantations))) and the rest is slightly cooler and was based on more ranching and farming. 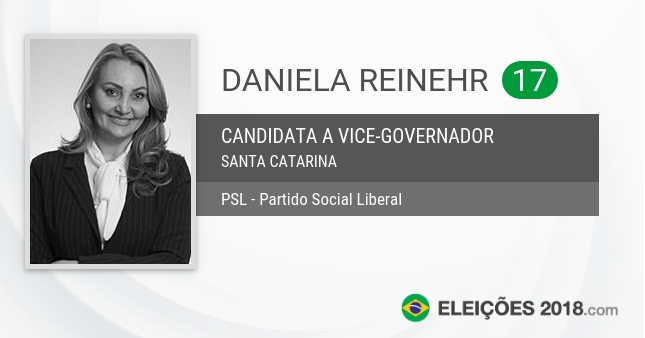 The southern state of Santa Catarina elected a holocaust denier for vice governor. (10-29-2018 02:35 PM)CTsar Wrote: The southern state of Santa Catarina elected a holocaust denier for vice governor. "In 2005, he wrote an article in the journal "The News" of Joinville, in which he stated that the number of Jews killed by Nazism was much smaller than the consecrated 6 million. After World War II in Europe, with the unconditional surrender of Germany, the Allies - winners and heralds of democracy and freedom of expression - needed excuses to justify their heinous crimes and conceal them whenever possible. And so he went on to speak in the concentration camps of Dachau (this one visited), Treblinka, Sobibor, Sachsenhausen, Majdanek, Birkenau and others, especially Auschwitz, synonymous with killing of Jews in industrial quantity. It was there that the Holocaust legend and the myth of the 6 million Jews killed in chambers where gas was showered! This was most intense after 1967 and with full impetus after the fall of the Berlin Wall. " right, her father is the Holocaust denier. She's only a "Christian, Conservative, and Patriot" as she self describes on Twitter. (10-30-2018 03:33 AM)CTsar Wrote: right, her father is the Holocaust denier. He is a revisionist. Right? Says that the number was less than claimed, not that the Holocaust didn't happen. yeah he's a revisionist, I was using "their" lingo. Revisionism = denial.